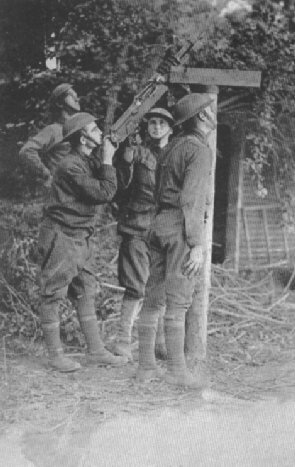 Anti-aircraft machine gun placed to protect gun positions. Battery A, 120th F. A. Bourbach-le-Bas, June 25. 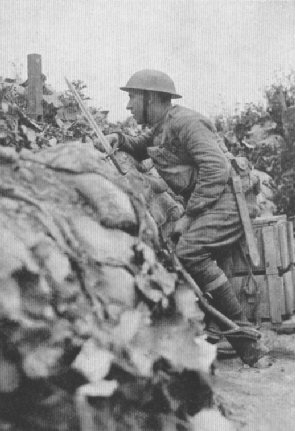 Soldier of the 125th Infantry, using periscope to obtain view of No Man's Land. Near Guewenheim, June 25, 1918. A few of the parts of an airplane which remained above ground. Photograph lens found in the wreckage unbroken. 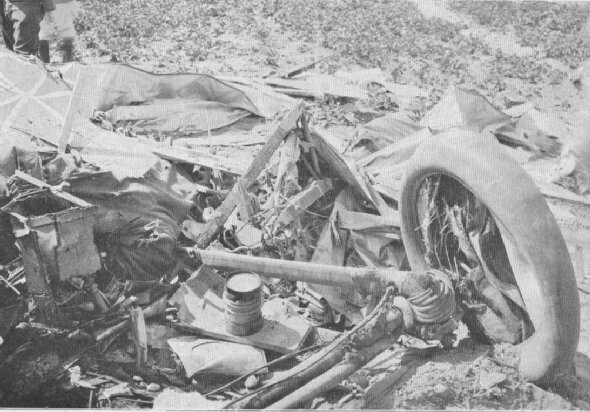 Plane brought down by French anti-aircraft guns. 77th Division, La Chapelle, July 5, 1918.